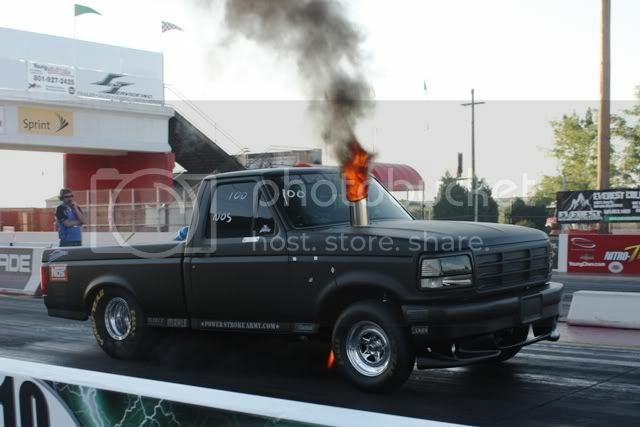 Zane built it years ago and had a 7.3 in it. A few years later when he joined H&S he put the Cummins out of the H&S truck which he built while at WOP into the lightning. Before Dustin purchased it H&S took it to TS and won pro street. Ya truck had a ton of work done for sure. When Zane had it he had a really talented sheet metal fab guy build a bed cover dash etc. I didn't see them there. They finally stuffed the motor in the truck I saw. But it's not running yet. Nowhere near done yet.